We love watching shows on Hulu, Netflix and other streaming video services, but we often aren't near a stable Internet connection when we want them most (for example, when on a family car trip or on an airplane). Enter the HP Pocket Playlist, a small storage device that records your favorite streaming shows and then broadcasts them to your iOS, Android, and Windows Phone devices when no Internet connection is available. The Playlist comes with 32GB of storage—enough for up to 16 movies, 7,600 songs, or 10,000 photos—and can be streamed to five different devices at once. The Pocket Playlist works with PlayLater, a service that acts as a DVR for online video. With the Playlist, you download video to your PC from PlayLater and then transfer the video to the Playlist through Wi-Fi. You can then stream the shows from the Playlist to your mobile device anytime you want to watch. The PlayLater service has a free trial month and then requires a lifetime license of $39.99. 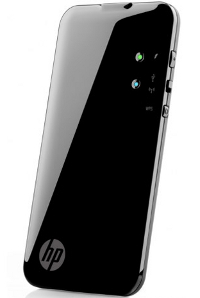 The HP Pocket Playlist is due on February 15 for $129.